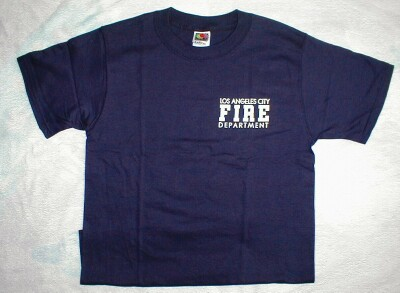 Short sleeve navy blue tee with white lettering. Small letters on left breast area. Large letters across the back. This tee is 100% pre-shrunk cotton. Sizes S, M, L, XL.